Today we're back with the second part of our post on Meredith and Jake's wedding, and while we were excited to reveal the design for their invitations in our first post, we're even more excited to share these stunning images of the day as captured by the talented Danielle Cover Photography! This also marks the debut of our new Real Weddings gallery, where we will be bringing you creative details from real LilyPad weddings to help inspire and delight. 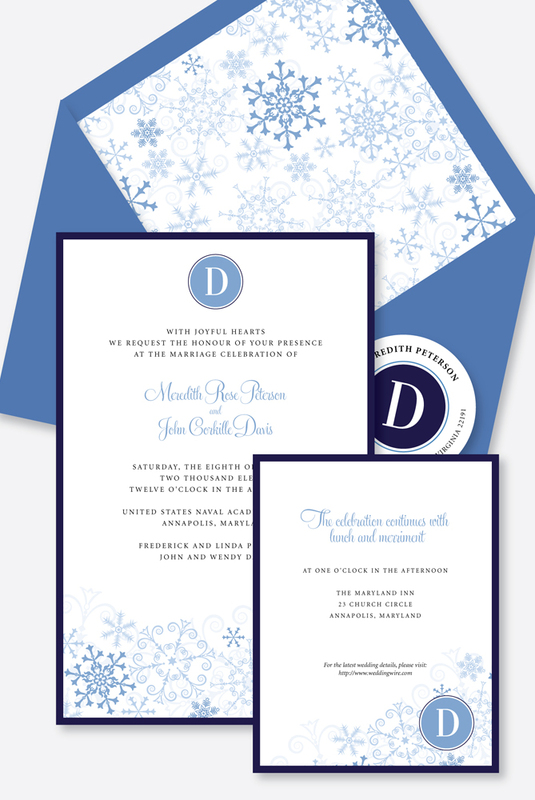 Meredith and Jake wanted their wedding to feel like a winter wonderland, so we created an intricate and lacy pattern of snowflakes in all different shades of icy blue that we carried throughout their custom invitations, table signs, place cards, and programs. 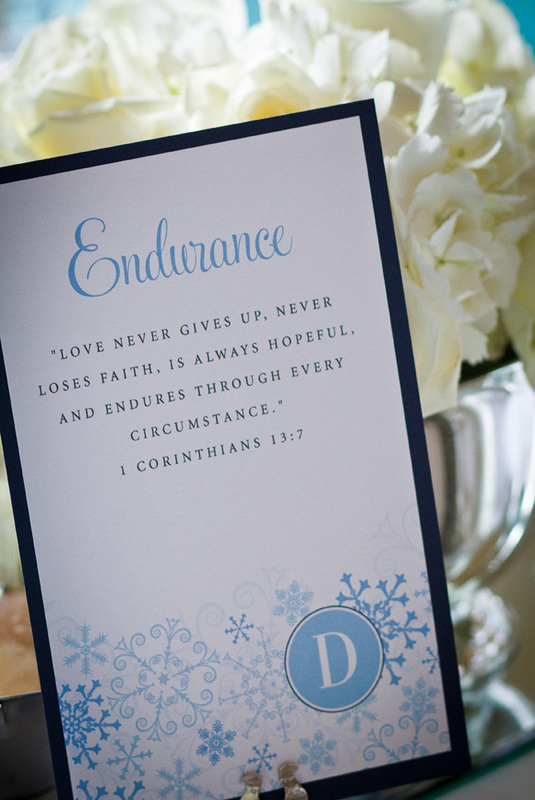 They met at their church and share a strong religious faith, so rather than using conventional table numbers, they decided to seat their guests at tables named after the various virtues and qualities that they hope to carry into their marriage. We were so inspired by the Meredith and Jake's love story, and by our first (but not last) experience with Wish Upon A Wedding! For more images from their big day and a list of the people who made it happen, please visit their wedding gallery. 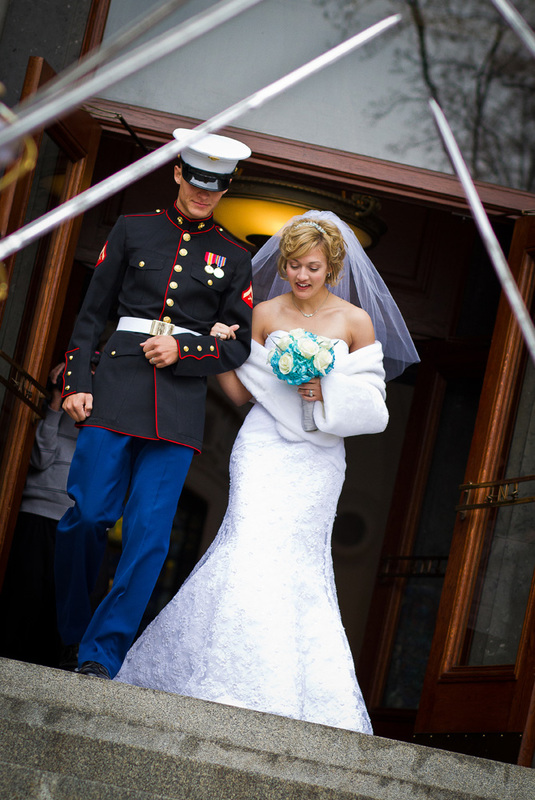 Happy married life, Mr. and Mrs. Peterson, and we wish Jake a safe deployment and a speedy return! Those of you who have been following our Twitter and Facebook feeds will know that we have been eagerly awaiting the arrival of Saturday, January 8th, for several weeks now. 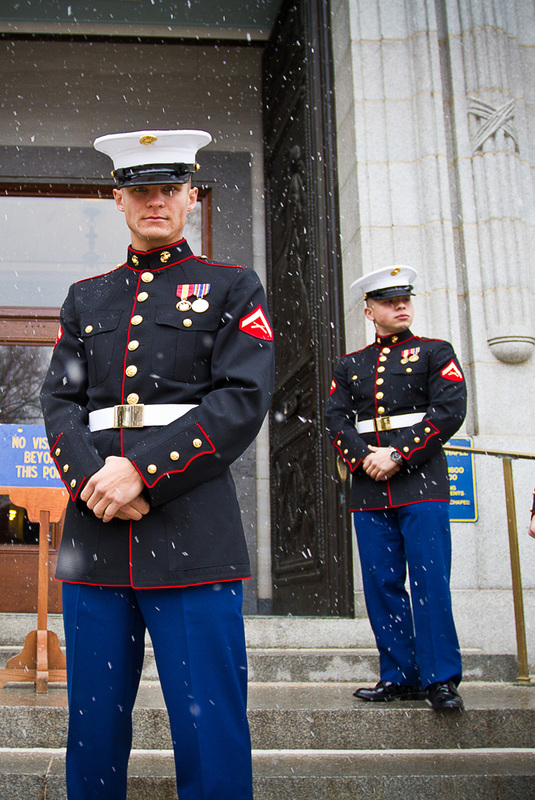 This was the day when our first couple of 2011, Meredith and Jake, got to stand in front of their closest family and friends and declare their love for one another beneath the beautiful dome of the U.S. Naval Academy Chapel. We always get a bit giddy whenever a client's wedding date rolls around, but this day was particularly special as it marked both the start of an exciting journey together for Meredith and Jake, as well as the close of a successful first chapter in our new relationship with the DC Chapter of Wish Upon A Wedding. Wish Upon A Wedding is a national non-profit organization that provides weddings and vow renewals to couples facing terminal illness or other difficult life-altering circumstances, regardless of sexual orientation. Often, couples in these situations do not have the energy, time, money, or resources to plan a wedding, so Wish Upon a Wedding gathers a network of "wish granter" vendors who donate their time and materials to transform the couple's wedding wishes into reality. 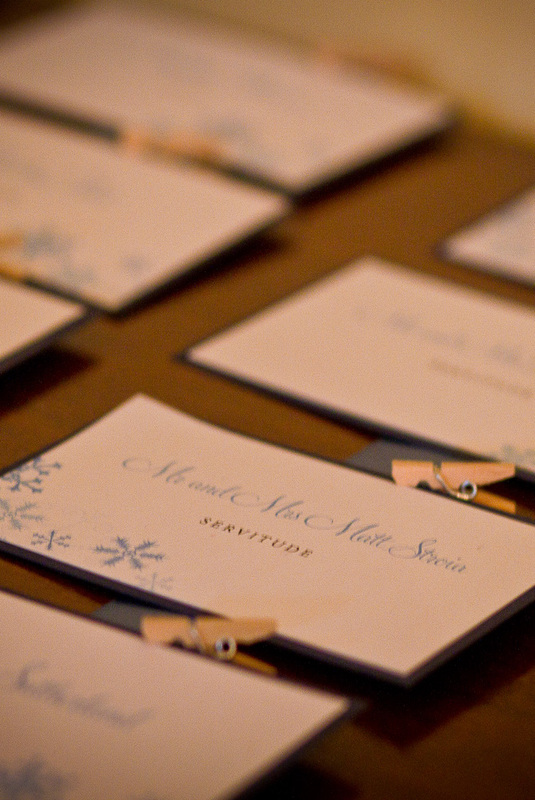 We were thrilled and honored when we were notified in November that LilyPad Weddings had been selected to design and provide the invitations and wedding stationery for Meredith and Jake, and being a part of the team that pulled this wedding together in less than 6 weeks was an exhilarating experience. We have lots more details from the big day we can't wait to share soon, including more of Meredith and Jake's story and stunning images from the talented Danielle Cover Photography, but for now we will leave you with a sneak peek at Meredith and Jake's invitation design as well as our thanks to Wish Upon A Wedding for letting us be a part of this incredible experience! 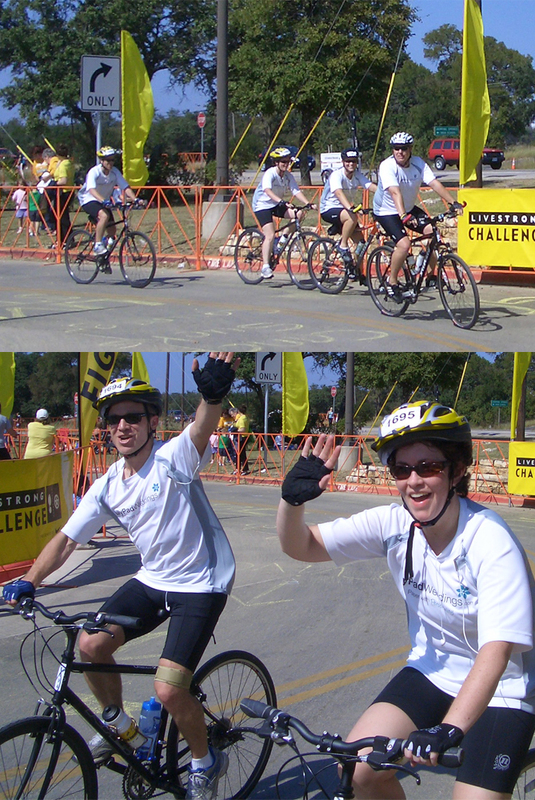 With the holiday card crunch behind us, we thought we would take a moment to catch up on our blogging and to share one of our favorite memories from this fall - our participation in the LIVESTRONG Challenge in Austin. 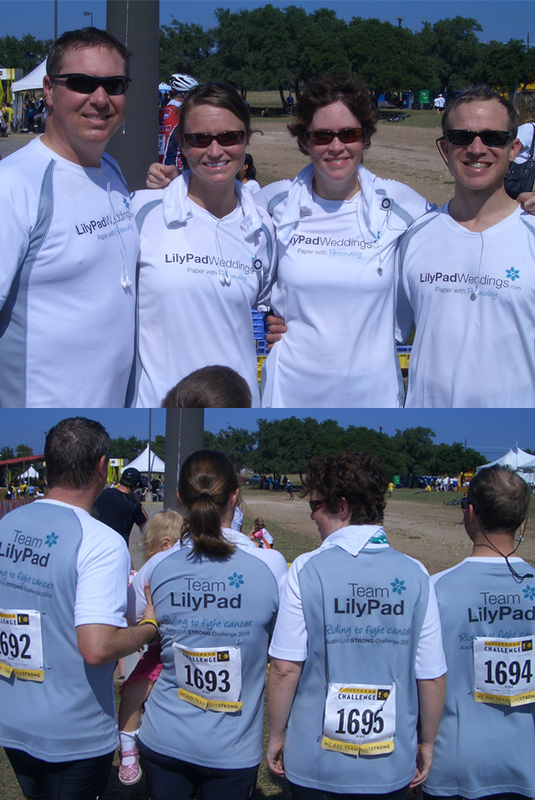 Members of Team LilyPad each completed the 45-mile bike ride through the Texas hill country, raising a total of more than $3,000 to help in the fight against cancer! The adventure began when we woke up at 4:45 AM to drive to the start of the race in Dripping Springs, Texas. We quickly learned that the Texas hill country had earned its name for good reason, as we biked the first grueling 20 miles of the course uphill and into the wind with a cumulative elevation change of 1411 feet! The landscape was beautiful, though, and we cycled past several large ranches, colorful wild flowers, plenty of longhorn cattle, and other uniquely Texan vistas. Jen and Kristin had never biked more than 20 miles prior to the start, and making it to the end was a feat! We were so inspired by the courage shown by those who have battled this disease, as well as by those who are close to them. Many many thanks to our generous supporters, and we're already looking forward to tackling the 65-mile course in 2011!